I love the die cracks on this one! Not my best photo but I like this one. Very nice Becky, I like it Ilike it! It's tough to get good shots through milar. that is an understatement! 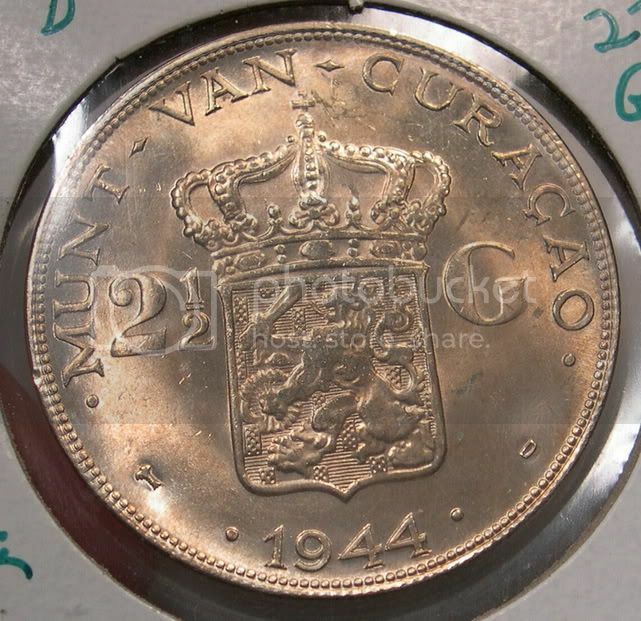 Once you get enough light on a coin then it starts glaring on the mylar. I have just gone to removing coins from 2x2's before taking photos even with the risks involved. silverhawk, that is some intense green and blue on the Morgan. 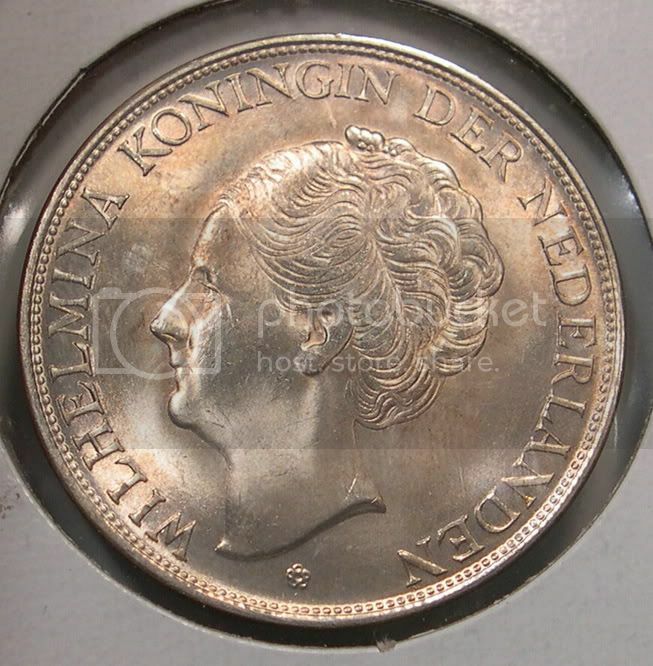 is that pic an acurate reproduction of the colors on this coin? It is beautiful!